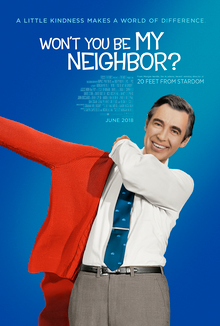 We will be showing the film “Won’t You Be My Neighbor?” a documentary about the life and work of Mister Rogers. The catch phrase for this movie is “A little kindness makes a world of difference”. Rated PG-13, and recommended for people 7 years old or above. The movie will start at 6, and runs for 94 minutes. Watch a trailer here.